Published on January 31, 2019 at 2:03 pm . CANADA, January 31, 2019 — Supporters of Shop4Charity’s Calendar Sweepstakes are reminded to buy their calendars before Friday’s final deadline, if they haven’t already. 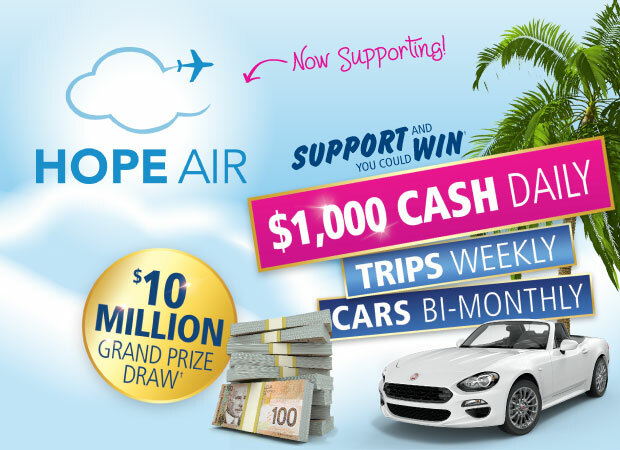 You could win daily cash, weekly trips, and cars bi-monthly, drawn throughout 2019 — and the $10 Million Pink Ball Draw! You can buy your calendars online or by calling toll-free 1-888-330-2585. No purchase necessary. Math skill test applies. Prizes may not be exactly as shown. See Official Rules for details.